Sometimes I feel as though somebody enrolled me into the Ghost of the Week Club. I am what they call a Beacon. For whatever reason, ghosts are drawn to me like a moth to a bug light. Many of them follow me home, hoping for a number of things. Some just want the human companionship, while others are hoping for help. Still others just want to draw my energy, like they do with many of the living. As a sensitive, I always know when a ghost is present. I was blessed/cursed with an ability called Clairaudience. I hear them. They make a sound that is similar to ear ringing. They swoop around the room and the sound goes in and out, growing fainter as they move away from me and closer as they approach me. If there are several ghosts in the room, I can hear their unique tones move in and out of one another. At times, my room feels like it’s in the middle of spiritual warfare. Three weeks ago, I picked up one of the worst entities I’ve ever experienced at an investigation. I knew there were several dark entities present the moment I stepped onto the property. I should have turned around and walked away, but I didn’t want to ruin everyone else’s evening since I was the driver. We drove nearly two hours for a fundraising ghost event and everyone was excited to be there. For many of them, it was their first investigation. I put my energies behind keeping them protected. When we first arrived, I gathered my group in a circle and said a prayer to Saint Michael the Arch Angel, asking for protection. We were respectful and left areas when we received a response of “Go away!” on the Spirit Box. One ghost in particular seemed to be following me throughout the evening. I could feel his distinct energy and hear a tone that was deeper in pitch that helped me identify him. We called him “The Bad Guy in the Basement.” He was grumpy and angry, answering our questions with roars, while getting so close to us we could feel the hairs rising on the backs of our necks. As it turns out, it wasn’t the Bad Guy in the Basement I should have been worried about. It was the Ancient One down the lane. I didn’t encounter him until right before I left. I walked outside with another group to conduct a quick EVP session near an old lane. Jeff, the caretaker of the property and an old friend, told us there were several powerful entities lingering on the property. He felt they were ancient, possibly not even human. I never even felt it drift close to us. Some of the older, more advanced entities can mask their appearance, making them not only invisible, but undetectable. It wasn’t until I got home later that I realized something had come home with me. As I slipped into bed, weary from a long night and an equally long drive, I felt him come near. He didn’t make a sound like the others do. Instead, I felt a deep vibration rumble through me. I felt as though I were lying on a metal grate with a train roaring past me overhead. It was so strong, it made the bed rattle with the vibration. My cats took one look at me and fled the bedroom with pinned ears and arched backs. As the night progressed, I began feeling electric fingers grasp onto my head, pushing and pushing as though my head would explode. In my mind, I got a picture of a watermelon exploding and knew this was what he was trying to do to me, as well. I felt the same dismay I always feel when this happens. Why me? I am a experienced student of paranormal protection. I’ve even written a book about it. I had protective stones in my pocket, a Saint Benedict’s medal around my neck, and had built a shield of energy around me that felt strong and sturdy. Still, he got through my defenses. The last time I experienced one this strong was when I came in contact with the Soul Collector. Not having any viable resources at the time, I had to endure his wraith for several months before someone could pull him off of me before he could claim me as one of his own. This time things were different. I had Michael. Michael Robishaw is a Shaman from Alexandria, Virginia. I met him at an investigation at the Haunted Victorian Mansion in Gardner, Massachusetts, several years ago and maintained a friendship. I didn’t realize he had amazing abilities until later when something followed me home and he offered to help me. He said he would send in his guides to pull the entity out of my space and he did. The results were so outstanding, I wanted to praise his abilities, but he was hesitant to allow the information to become public knowledge. People would talk. They would roll their eyes, thinking he was nothing more than a snake oil salesman, pretending to have magical powers. Reluctantly, I kept the information to myself, but I still called on him when I needed him. After spending an entire night riveted to my bed, afraid to even close my eyes, I contacted him the next morning. He promised to send his guides in that evening at 11pm. As the time grew near, I sat in my bed reading, hoping to experience the extermination of this entity. I wasn’t disappointed. At 11pm on the mark, I heard a high-pitched tone sweep into the room. Soon, it was joined by others. They swirled around my room like a chorus of angels, their tones so pure in pitch, they sounded like the ringing of bells, but the vibration of my bed continued. Several hours later, I heard another tone come in. It was so loud, I nearly had to cover my ears. It almost sounded like lasers zapping through my room. The high-pitched sounds retreated to the edges of the room as though they were watching something so spectacular, they wanted a front row seat. The laser sounds continued for nearly an hour before the room grew silent and the bed stopped vibrating. Gone was the feeling of someone lumbering over me, sending angry energy though every cell in my body. The room was silent. As a Clairaudient, the sound of silence is amazing. It meant there weren’t any ghosts in my room. I followed up the next morning by lining my doorways and windowsills with sea salt and spraying Holy Water onto every wall and window. When Michael contacted me later in the day to deliver the news, I wasn’t surprised. He told me it was an Ancient One. He said it was so strong his guides couldn’t budge it so he called in Arch Angels Michael and Raphael to assist. 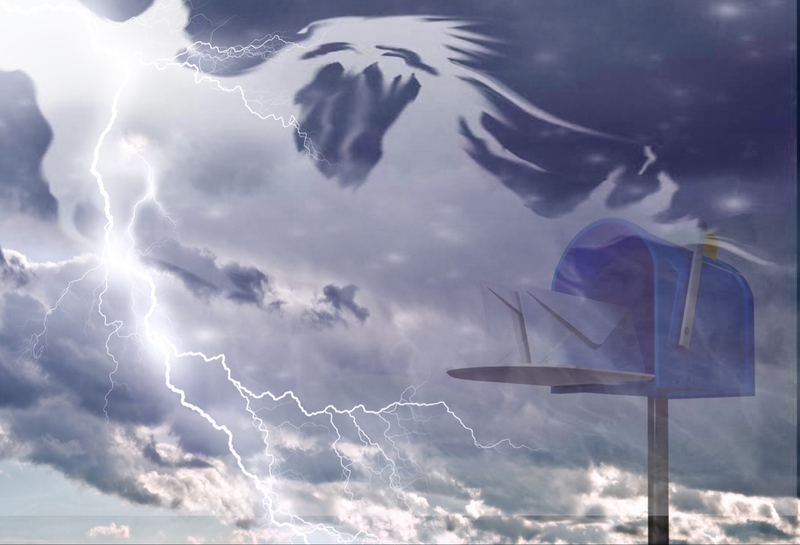 They bound and banished it, sending it to a place where it could never bother another human soul. As can be expected, I was curious about this. I told Michael that at times, I could feel electric fingers digging into my head as if it was trying to get inside of me or possibly make my head explode. Michael confirmed this.”He was trying to get inside of you. He had been weakened and was trying to draw enough energy from you to take you over. It’s a good thing you contacted me when you did,” he said. I felt as though I had dodged a bullet. I was so thankful that Michael had been there to help me. After going through what I did with the Soul Collector, I wasn’t keen on experiencing another more powerful entity. While it might have made a great book, I wasn’t sure I could have survived this one. I left shortly afterwards for a trip to Indiana. I had a nice visit with my friends and family over Thanksgiving, but was eager to get back home to get back to my life and my writing. I always break the sixteen-hour drive into two days, since I’m the only one driving. By the eighth hour of my first day’s drive, I was getting tired. My back was hurting from the confinement of the seat and my eyes were growing road weary. I had just started looking for a hotel to stop at when I felt something swoop into the car. At 11pm, I heard the high-pitch sound swoop into my room, pushing away the deeper rumble of the unknown entity. The spiritual battle continued long into the night and into the morning. By 3am, my room was quiet again. While Michael’s guides were able to handle this one without the aid of Arch Angels, they had a difficult time. Negotiations had been dismal. The entity refused to leave me. I saw him in my mind as a young man with sandy brown hair and a cocky sneer on his face. Wanting to confirm my visions, I asked Michael what he looked like and he confirmed it, down to the smirky sneer on his face. The battle wasn’t easy and the entity wouldn’t move on, so his guides had to bind and banish another one for me, sending him to a place where he couldn’t cause more havoc. I’ve always wondered what the reason for my gift/curse was. Surely there was a deeper meaning for it or at least a purpose. After working with Michael over the years, I’ve began to wonder if this is it. Am I the beacon who calls them in so that Michael can attend to them? It seems like a pretty small mission, compared to all the meandering ghosts out there in the world. It will take us an eternity to move through all of them. I tucked the thought away in my mind, not having any clear answers, as usual. I only had a few days of respite before the next ghost found me. Michael cautioned me to stop ghost hunting for a while and work on clearing my aura, so I did. I turned down several investigations in favor of sitting at home with my cats, watching TV and writing. I only left the house to shop for groceries and to teach my weekly Paranormal 101 class. I became aware of Ghost #3 as I was getting ready to retire for bed. This one was different. I felt the energy immediately. I could hear an actual tone with her, identifying her as a female. Since the tone wasn’t pure and bell-like, it also identified her as an Earth-bound soul, someone who wanted help. I tried to talk to her, counselling her like I sometimes do to find the white light and cross over, but my words fell on deaf ears. She hovered over my bed all night, keeping me awake with her frantic energy. Michael sent his guides in the next night and she was gone by 1am. When I contacted him the next morning, he told me she was a lost soul. She was frightened and confused. He couldn’t get much information from her, but he was able to cross her over into the light, bringing her where she needed, and wanted, to be. For months now, Michael has been my secret weapon. I’ve wanted to talk about his amazing gift and how profoundly he has helped me, but he’s been hesitant to let the news get out. I was thrilled when he finally gave me permission. In February of next year, I plan to travel down to Alexandria, Virginia. We are going to write a book together about his amazing experiences as a Shaman. If nothing else, I am excited to learn more about the things he’s seen. I’m also hoping he can help me figure out how to help myself. In the meantime, I’m hoping to be unenrolled from the Ghost of the Week Club. But, if another ghost shows up, I am beyond relieved to know I have a savior to rescue me one more time. I was born with a gift that scared me. I knew when ghosts were nearby. It started when I was six years old. I would lay in my bed after my mother had tucked me in, allowing my eyes to adjust to the darkness. I looked around my room, watching the shadows move at the corners of my room. At first, it didn’t scare me because I didn’t know what I was looking at. It was just something I had always seen. It was normal. Then, I began hearing a ringing sound that accompanied the moving shadows. The sound swooped in, as if carried on the wind. It swirled around the room, coming closer and closer, until it zoomed away from me again. I wouldn’t understand what it was until I was seven. It approached my bed, not stopping until it was mere inches away from me. I was so scared, I couldn’t even scream. All I could do was look up at it with terror, feeling the anger radiate from it like something I could see and touch. After a few minutes, I finally found my voice and screamed for my mother, chasing it away. When I told my parents about what I was seeing and experiencing, they told me it was just my imagination. “There is no such thing as ghosts,” they said. I experience ghostly activity throughout my life, never fully trusting what I was sensing was true. Was I really feeling ghosts? I didn’t tell anyone for fear they’d think I was crazy. I kept the information to myself until I met like-minded people, people who were sensitives like me. I happened upon them in the usual way. I was drawn to the field that had held me captive for forty years. I joined a ghost-hunting group. Through them, I met friends who were also able to sense and feel ghosts and I began to learn more about my abilities. One thing I didn’t count on, though, was the fact that nothing would remain the same. Once I tuned in to this ability, it grew and developed, much like a well-exercised muscle. Opening that doorway changed everything in my life. I no longer suspected that ghosts and spirits were nearby, I knew it as clearly as I knew the sky was blue. The more I trusted my gift, the better it became, making me more desirable to the spirit world. They began following me home from restaurants, stores, and even from the homes of friends. I had to get a hold of this gift before it got a hold of me. Unfortunately, I walked into a very bad situation I wasn’t prepared for. I was like a lamb, leading myself into a den filled with lions. I didn’t understand the impact my ability had in the spirit world, and how vulnerable it made me toward darker energy. I wrote this guide to help those like me. When I first started out, I had no idea where to turn to. Please consider this a starting place to help you get to where you want to be. Sometimes we all need a little push in the right direction. 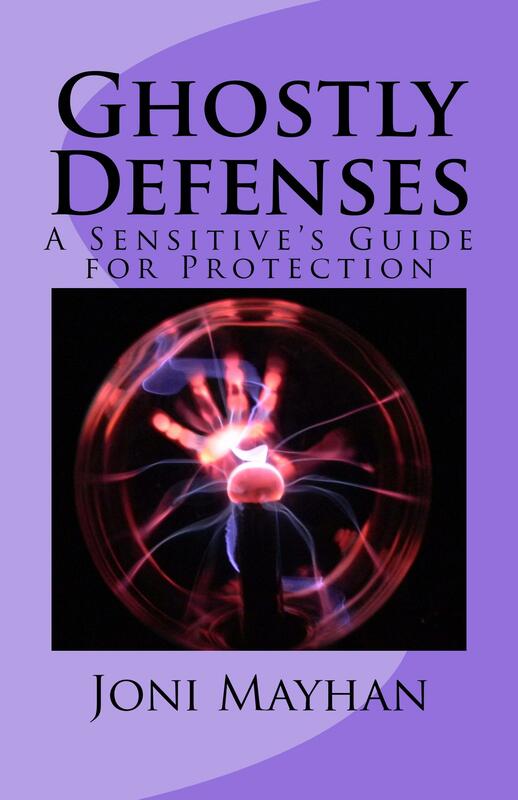 Thank you for reading this preview of my new paranormal guide, Ghostly Defenses. This book can be found on Amazon.com by following the link below. Something followed me home again. It happens quite a bit, more often than I admit. This one came from the house that I’m currently writing about, the Haunted Victorian Mansion. I went there for a photo shoot on Monday and encountered a very strong male energy in the Red Room. He had a very distinctive tone and when I came into his space, he made my body feel as though it were vibrating from the inside out. It’s a very strange sensation. It’s almost like being nervous, without the emotion to go along with it. It’s also a bit unnerving. Strong ones do this to me for some reason. With normal ghosts, I will hear a tone, similar to an ear-ringing sound. It’s taken me years to figure it out, with the help of my mentor, Barbara Williams. A ghost tone is lower in register and isn’t pure and ringing. It almost sounds like that static white-noise that television sets used to make before the rise of cable. A ghost is a human who has died, but didn’t cross over into the white light. Some are trapped, but most are here of their own free will. They feel as though they have something they need to do before they cross on. When they make my body vibrate, they are insistent that I listen to them. A spirit is a pure sound, like the sound a wine glass makes when you tap it with a fork, except the sound just continues on and on. It can be maddening at times, but I’ve learned to tune it out enough that it doesn’t drive me crazy. And besides, a spirit tone is good. It means that one of my guides or protectors is nearby. Sometimes when I hear the sound, I know it’s an alert that trouble might be brewing. That’s what happened to me at the Victorian on Monday. After I heard the strong ghost tone in the Red Room, I promptly left the room and went downstairs to the kitchen, where everyone else was talking. As I stood there, I heard a spirit tone swoop in, loud and urgent. “One of my guides just swooped in,” I told them. Marion, my friend who is also the caretaker for the Victorian, grabbed my arm and smiled. “Good, maybe she can protect me too,” she said. As it turns out, my guide wasn’t enough. As soon as I got home later that day, I heard the male tone return. My body began trembling again from the inside out. I took immediate measures; something my mentor has taught me. I surrounded myself with a white light that radiated from my core. I said out loud, “this shield of white light will protect me from any energy that is not my own.” And then I timed it. “It will last for twenty-four hours from now,” I added. I then went upstairs and took a nice bath with sea salts, which act as a cleanser and a purifier. I also cut my cords. As Barbara describes it, when we come in contact with ghosts, and even other people, we create a cord that attaches us. When I leave a haunted location, I always cut this cord, using my non-dominant hand, and tell them that they cannot follow me. Sometimes it works; sometimes it doesn’t work. As the evening continued, I would feel and hear the ghost grow louder and stronger. Sometimes I can’t handle these things on my own, so I reached out for help. I messaged Barbara, and also my friend Sandy, who is going through similar issues. Sandy, unlike me, has pretty much mastered the ability to shield. While her shield is Teflon-coated steel with diamond plated reinforcements, mine feels more like crumpled tinfoil with Scotch-tape and Band-Aids holding it together. Sandy responded to me first. I knew she’d done something because as I sat in my bed reading, I could hear the sound fade and the trembling ease up until it was completely gone. “Somebody must have helped me,” I said to myself, reaching for my IPhone on my nightstand. I logged onto Facebook and sure enough, there was a message from Sandy. “Is that better?” she asked. I took a deep breath. It was much better, but it only lasted for a few minutes. I’d later learn that she threw a shield over me from afar, something that seemed more like Star Trek than reality, but something I felt with my own body. It seemed to keep him at a slight distance, but he was still there. I’d need Barbara to finish the deed. Last night was almost unbearable. The ghost tone was so loud, I couldn’t hear myself think. I’d occasionally hear the sound of a spirit tone swoop in. I imagined my protectors doing an invisible battle in my bedroom as I listened to the tones fade in and out as they moved around the room. My cats were acting as though they were watching an imaginary tennis game. Their heads were swiveling back and forth, trying to keep up with the things they could see. Needless to say, it took me a long time to get to sleep and when I did; my dreams were riddled with nightmares. Barbara reached out to me today and took care of it. What she told me was very riveting. I guess I shouldn’t be so interested because my interest could feel like an open invitation for them to trample towards me in herds, but I can’t help it. Five years ago, I would have rolled my eyes at anyone telling a similar tale. I might have even suggested they seek mental counselling. But here I was, living through something that was both horrifying and fascinating. There is a great deal going on around us that we can’t see. Being a sensitive isn’t something I would have willingly chosen for myself. While it is intriguing to know if there is a ghost or spirit present, it comes with a very large price. Until I’ve learned to cattle-prod them away from me, they will follow me just like I am prone to following them. In theory, it’s kind of amusing. The ghost hunter is being hunted by ghosts. In reality, it’s something else – something perfectly awful. Barbara told me that he was angry and scared. He was worried that my book about the Victorian was going to draw more people to the house. He hates the people walking in and out of his room, asking him to answer silly questions. He just wants to be left alone to live the life that he lives. People are distracting. They pull him away from the world that he sees himself in, a world similar to the one he lived in when he was alive. When she told me he was a drinker, I knew who he was. He was the man who burned to death in the master bedroom, a man by the name of Eino Saari. I protested when she told me. I always thought of him as a nice guy who’d met a tragic end. Unfortunately, he also has a dark side. He’s angry. He’s tired of all the commotion. He just wants us to all go away, something we’ve been hearing on evps for a while now. For my part, I’d promised to stop bothering him. I didn’t even bring my digital recorder on Monday. I just oversaw the photo shoot, gave the people who attended a quick tour, and then left. Apparently that wasn’t good enough. I enjoyed about ten minutes of quiet before he came back again. Dear God. I had just purchased an episode of Breaking Bad, my latest guilty pleasure, and I wanted to sit on the couch and watch it. Instead, I messaged Barbara again, giving her the news. She pulled him off of me and suggested several extra measures. She wanted me to bless water and spray it on every wall and window of my house, and then follow it up by putting sea salt around all the doorways and windowsills. I accomplished this in a matter of minutes. I’ve never attempted to bless water before, but I trust Barbara like I trust no one else. If she tells me to do something, you can bet that I’m going to do it. So, it’s been an hour and all is still quiet. One thing that lifts my mood is the solitary thought of my book. If they feel the need to intimidate me to prevent me from publishing it, maybe they know something I don’t know. Maybe they know that this might be the book that finally brings me the success I’ve been longing for. And then I feel guilty for it. Am I just standing on their shoulders to climb to my dreams? My hope is that the book does well, that the house remains closed for investigations, and the money it brings will help them to do the repairs that are so desperately needed, while keeping me out of debt as well. Is that a lot to ask for? Probably, but it’s all I have right now. I can’t stop now. So much depends on this. Things were moving around in the house while no one was there. A loaf of bread flew across the kitchen. Doors were opening and closing by themselves. When Kim Huertas and her team were called in to investigate, they had no idea it would be as simple as removing a painting. It was their very first investigation as a team. A friend of a friend asked them to come in to help, knowing of Kim’s abilities as an empathic medium. When they arrived, they saw some of the paranormal events with their own eyes. Kim’s son took a picture of a mirror, catching himself in the frame. When they looked at the photo, they were surprised by what they saw. An enormous shadow person was looming directly behind him. Handprints would be found on the mirror shortly after, much too large for anyone in the house. The activity was escalating. When Kim came into the kitchen to talk to the homeowner, the woman just stood there, looking at her with eyes that were deader than dead. Something was wrong with her, but Kim wouldn’t understand the extent of it until she opened her mouth to speak. “How would you like it if I poked your eyes out with an ice pick?” she asked. Kim backed out of the room slowly, never letting the woman out of her sight until she was a safe distance. She returned later with another group and together they began putting together the pieces of the puzzle. Every time they tried to take photos in one specific room, the photos wouldn’t come out. Kim looked around, her gaze landing on a painting. “Where’d you get that?” she asked. The homeowner glanced at it, all memory of the ice pick threat long gone from her mind. “Oh, my ex-boyfriend sent it,” she said, as if it didn’t matter. Kim would dig and learn that the painting was actually painted by her ex-boyfriend’s new girlfriend. As it turns out, her mother practiced voodoo. The painting had a very powerful spell placed on it. Once it was removed from the household and the house was thoroughly cleansed, all the strange activity ceased, and life went back to normal. All because of a painting. We will split up and walk the store until we find something with a hidden attachment, and then we’ll send the other one into the room to see if she can find it. Being clairaudient, it is actually fairly easy for me. I just follow the sound of the tone. As I come into the room, I can hear it very faintly. I’ll play a game of warmer/colder, until the sound grows louder and I’m directly in front of it. Then, I put my hand on it, feeling for vibrations. Sometimes an image will pop into my head and I get an impression of who owned the item. Sometimes it doesn’t. “It’s this lamp,” I told Sandy and she nodded. She’d felt it too in her own way. We’re actually getting fairly accurate with it. It has helped us hone our sensitivities and has prevented us from bringing home haunted items. My mother once shared a story with me about an old wardrobe cabinet her grandmother had in her bedroom. She was just a young girl, visiting her grandmother Carter in Louisville. She remembers being frightened every time she went into Carter’s bedroom. “The boogeyman lives in that closet,” Carter told her. She’d give it a wary glance and retreat out of the room. If Carter sent her into her bedroom for something, she’d stare at the wardrobe the entire time she was in the room, fearful something was going to jump out at her. As an adult, my mother looked back at the memory and laughed. “Carter probably just told me that to keep me out of her wardrobe,” she told me. “But, what if she didn’t?” I asked, knowing there was more to the story. After Carter died, my mother was supposed to gain possession of the bedroom furniture, but it didn’t happen. Another relative came in before she could get there and took the wardrobe. My mother was furious. It caused a rift in the family that would never be repaired. It took thirty years for it to make any sense to her. All it took was a question. “Did you ever think that maybe Carter was protecting you from it?” I asked. She stared at me, as the wheels and gears spun behind her eyes. It’s possible, even probable, that the wardrobe wasn’t haunted. It could have just been chance that another relative grabbed it before my mother could get to it. But what if it wasn’t? She would have brought home a very haunted cabinet where her children lived, including one who was a budding sensitive, something Carter must have suspected. If Carter knew there was a boogeyman in the cabinet, then she must have had some ability herself. I never heard what happened to the wardrobe. The rift it created separated the family, never to be repaired. Most of the people who were involved have long died and the furniture probably made its way into another home or an antique shop, perhaps. These things happen more often than you’d think. A beloved possession can be hard to let go of. It’s no different than a beloved house. 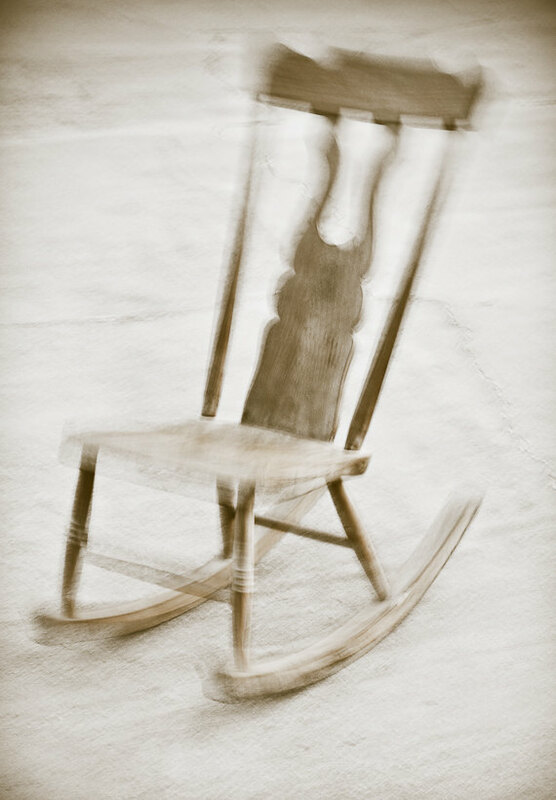 A rocking chair, a walking cane, a mirror on the wall – they’re all potential items. My advice to you: be careful when purchasing anything that once belonged to someone else. If your instincts tell you something’s amiss, it very well might be. If the hairs stand up on the back of your neck as you touch it, let it go. If you have dreams about it after seeing it for the first time, resist the calling. And by all means, if you bring it home and doors start opening and closing of their own accord, get it out. Antiques can be lovely. They can be valuable, historical, and even cherished. Just be careful they aren’t also haunted. I was at a very bad place in my life. I’d been unceremoniously dumped by my boyfriend of two years, my family was a thousand miles away, and a very negative spirit had attached himself to me. I wouldn’t learn how bad he was until I made the trek to Maine to spend Thanksgiving with my paranormal friends. The minute I walked into the house, the psychic of our group told me that I had a spirit with me and that he was bad. He was a soul collector. She said that when she looked at me, she saw hundreds, if not thousands, of spirits behind him. They were lined up, row upon row, following this spirit everywhere he went. And they looked sick, as if they’d died of some sort of tragic disease. My blood turned to ice. The place we investigated was the site of an old tuberculosis hospital. How could this have happened? 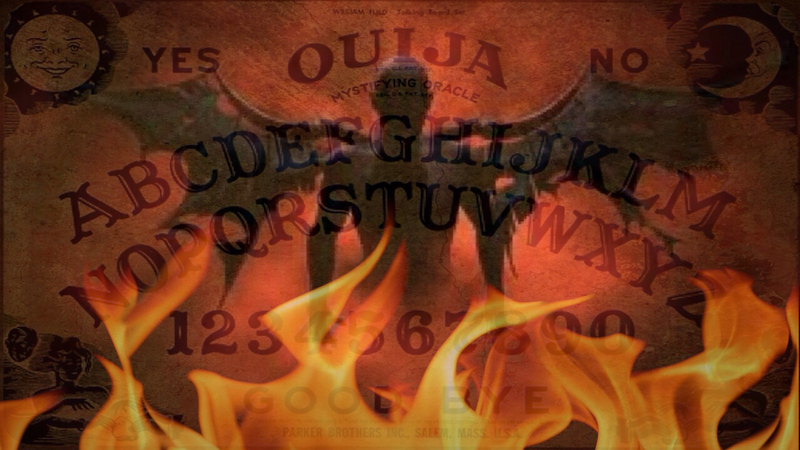 I am always very respectful of spirits when I investigate. I always ask them if they need help and never, ever provoke them just to get a response. Why would one of them follow me? It made no sense. Surely there were other people out there who were far more interesting. That’s when I began to learn my fate in life. 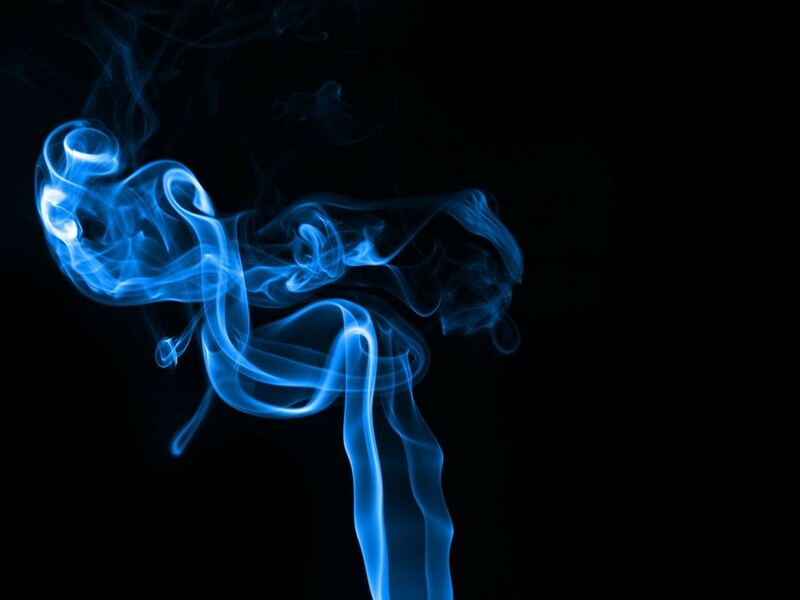 People who are “sensitives” are able to sense spirits. Some just feel them move into the room, others have physical cues like a tingling on the back of their necks, or goose bumps that rise up on their arms. For me, the cue is actually physical. I hear them. I am clairaudient. The tones move in, almost swooping down upon me. Some tones are high, some are low. As they move farther away, the tone grows softer. I’ve dealt with this ability all my life, but had recently been working with it on investigations. It was like having a new toy. Unfortunately, like any muscle, once you begin flexing it and working with it, it grows stronger. It literally made me grow brighter in the spirit world. I must stand out like a bug light to a flock of moths. She promised to help me with it and sent me on my way. It was a long drive home, hearing his signature tone in the car with me. I began to almost panic. How could I live like this, knowing someone very evil was lurking over my shoulder? How would I even begin to lie in bed and close my eyes? I was terrified. I researched the subject as much as I could, learning that negative entities could actually collect other spirits. In some cultures, they are known to do this in order to achieve a higher rank in the spirit world. I slept very little, often retreating to the couch in the living room, where it felt a little safer. One thing was for sure: my bedroom was a hotspot for spirit activity. Every time I went in there, my ears would ring like crazy. I could feel the sensation of eyes glaring at me, could see the movements out of the corner of my eyes. I would feel soft touches on my face, feel my hair being gently caressed. Sometimes the covers would be pulled off of me. My cats got to the point where they would flee from the room with their ears flattened. I tried to pray. I burned sage. I recited the Saint Michael’s Prayer. I recited The Lord’s Prayer. And I cried a lot. Seriously… This guy could have picked on any number of people. The place where I went to was popular with the paranormal world. Investigators were in and out of there on a regular basis. I touched base with the psychic again and she told me that it might have something to do with my overall well-being at the time of the investigation. When people are depressed, they are more susceptible to spirit attachments. Great. There’s nothing like being kicked when you’re already down. The days passed by slowly. I couldn’t sleep and I couldn’t talk about it. My teenage son lived with me four days a week and I didn’t want to scare him with what was happening to me. But, on the other hand, I didn’t want to endanger him either. What was I going to do? The psychic told me that the soul collector wanted me. That he wasn’t ever letting me go. She said that he stood behind me constantly, whispering in my ear. “Can you hear him?” she asked me. Thankfully, I couldn’t. I could just hear the ear shattering buzz that followed me through all the hours of my day. Knowing that he was with me nearly sent me off the deep end. He followed me into the bathroom, was always lurking close as I showered and dressed, he hovered over my bed all night long, just inches away from my face. He wasn’t letting me go. He wanted to cut me off from everyone and he started with my electronics. I suddenly began having issues with my internet connection, and then my cell phone. I would call someone and the line would become filled with static. Sometimes it wouldn’t work at all. My phone would be dead and nothing short of rebooting it would get it to work again. Not only was I terrified, I was being systematically cut off from the rest of the world – cut off from the help I desperately needed. I kept reaching out to the psychic, asking if she could come to my house, offering to pay her way, offering anything I could think of to get this spirit off of me. Unfortunately, she was going through issues of her own with family and her job. She kept telling me she would help me, but as the days went by, I began to lose hope. I fell into an even deeper fugue that I just couldn’t emerge from. I’ve always been a “bounce back quickly” kind of person. I’ve never suffered from depression or had anything truly get me down for more than a day. I usually wake up the next morning, determined to conquer what is ailing me. This time, there didn’t seem to be any hope. I’m thankful I had great friends as I was going through this. Since they were also ghost hunters, I didn’t have to prove to them that I wasn’t crazy. They knew that what I was dealing with was real. They listened to my stories, offered me couches and spare beds to sleep on, and tried to help me figure it all out. But, no one had an answer for me. And it just kept getting worse. The ear ringing grew to a level where it nearly drove me insane. I started hearing louder thumps on my walls, and the nightmares intensified, leaving me on the brink of insanity. One day while I was working, I could feel him looming over my shoulder, but I tried to ignore him as usual. “Don’t give him anything,” the psychic had warned me. But, he found other ways to get to me. Very suddenly, my cell phone came on and began playing music. I sat stock-still, just staring at it. In order to turn my phone on, I had to push and then slide a button. To get music to play, I would have had to scroll through the apps to find the music icon. The worst part of all of this was the song choice. “Addicted” by Saving Abel. It’s a song about a man who is emotionally and sexually addicted to a woman. It’s not the kind of song I wanted a soul collector serenading me with. It hit me on two levels too, something I’m sure he was well aware of. I used to burn my ex-boyfriend CDs, selecting songs that made me think about him. This was one of the songs on the last CD I burned for him and it brought me back to a place where I didn’t want to go. Emotionally, I was simply shutting down. I didn’t sleep more than a few hours a night. I stopped eating. I lost fifteen pounds, which wasn’t something that has ever been easy for me, and I started smoking again. I’d given it up years earlier, but here I was lighting up again. I was quickly moving from depression to oppression, something I wouldn’t understand until I reached out to another friend, Michael. Michael is a paranormal investigator and a friend. He’d been studying with the Catholic Church on exorcisms. He is now the investigator the church calls when they have a report of a demonic possession. He goes in to check it out. If he feels it’s a true possession, he calls in the church to perform an exorcism, which he also participates in. Michael, his wife Nancy, and friend, Steven, were at my house the day after my call. They literally dropped everything to help me. Michael’s background in the paranormal field is complex. His mother was an Irish witch, who helped many people during his childhood. Besides being an experienced paranormal investigator, Michael is also a medium. He has the ability to sense and communicate with the spirit world. He walked around my house with his eyebrows raised. I knew he had found something, but he wasn’t telling me everything. He burned sage, recited prayers, and sprayed holy water on every wall, window and mirror. He even blessed my pets. He told the spirit to leave, and then planted Saint Benedict medals at the four corners of my property. All was well for several days. I got some of my energy back and began feeling like myself again. 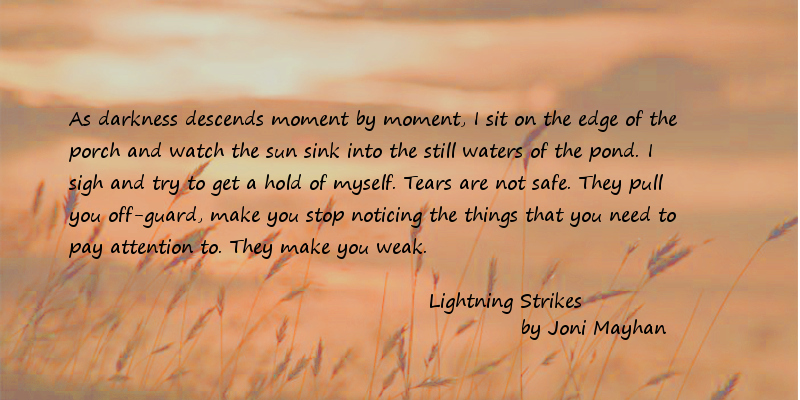 I was working on the first book of my paranormal trilogy, Lightning Strikes, at that time. I was down to the final edits and began making some real progress with it. I felt like I had my life back until he came back again. The next time would prove to be even worse than the last. He had me in his sights and he wasn’t letting me go. 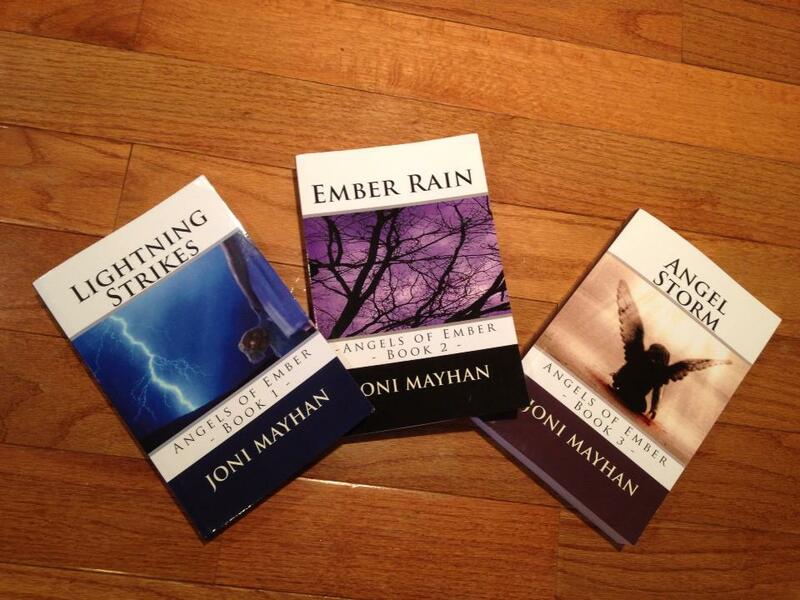 Many of my experiences with the soul collector ended up in my paranormal trilogy, Angels of Ember. Lightning Strikes, the first book in the series, is available on Amazon.com for Kindle for only $2.99.